Many people around the world who embrace “Christianity” have never heard the true Gospel. They believe Christianity is nothing but a different set of rules, substituting Christian do’s and don’ts for those of other religions. They continue to believe they must earn their way to God and then do their best to deserve the benefits of salvation. That’s not the true Gospel. Accepting Jesus as your Savior with the belief that you are now going to abide by a certain set of rules is not the Good News. Why? Because then salvation still depends upon your performance. And I can guarantee you that the devil will make sure you know that your performance is not quite good enough. He is the accuser of the brethren (Rev. 12:10). The truth that makes the Gospel the nearly-too-good-to-be-true news is that we are accepted by God through what Jesus did for us. The revelation of God’s grace will deliver you from a performance mentality to a total trust and reliance upon the Lord. Salvation is all about God’s faithfulness, not ours! 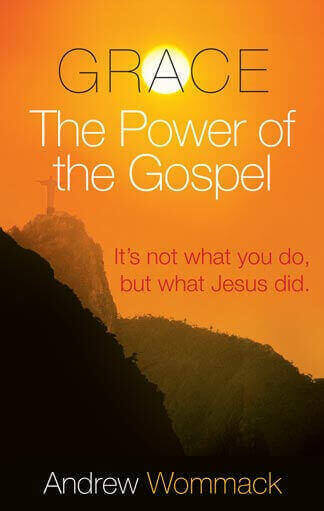 The book of Romans communicates that the Gospel is the power of God. It’s what produces the life of God in people. However, the word Gospel has become a religious term that has lost much of its meaning today. Many people associate Gospel with anything that has to do with religion, specifically the Christian religion. But Gospel literally means “good tidings” or “good news” (Vine’s Expository Dictionary of Old and New Testament Words). The Greek word euaggelion, which was translated “gospel” in seventy-four New Testament verses, was so rare in writings outside of the New Testament that it’s only found twice in extra biblical manuscripts. The reason for this is because this word not only meant good news, but was actually describing nearly-too-good-to-be-true news. Much of Christian culture today associates the Gospel with “You’re a sinner. If you don’t repent, you’re going to hell.” Now, these are true statements. There is a heaven and a hell, a God and a devil, and you will go to hell if you don’t repent and receive salvation. But even though all of that is truth, it’s not good news. It’s not the Gospel. As a matter of fact, it’s the complete opposite of what Paul was teaching. Romans 2:4 says that it’s the goodness of God that leads us to repentance, not judgment and condemnation. That is the good news. The Gospel is directly related to the grace of God. That’s the only way this forgiveness of sins can be obtained. It isn’t through our holiness or good works. God doesn’t take the good people and save them; He justifies (extends salvation toward) the ungodly (Rom. 4:5). Another way Paul could have said this is, “I am testifying of the Gospel, which is the good news of the grace of God.” The words “gospel” and “grace” are terms that can be used interchangeably. The good news, or Gospel, is the grace of God. Even the word salvation is misunderstood. Evangelical Christianity says that salvation is a one-time occurrence, an experience when your sins are forgiven. That’s true; there is a moment when you pass from death to life. But that is not all that happens. It’s an incomplete definition. Salvation isn’t limited to the initial born-again experience. Salvation is everything Jesus purchased for us through the atonement. Sozo, the Greek word that was translated “saved” in the New Testament, means more than forgiveness of sin; it also means healing, deliverance, and prosperity. It’s a word that summarizes everything that Jesus provided for us through His death, burial, and resurrection. Is any sick among you? let him call for the elders of the church; and let them pray over him, anointing him with oil in the name of the Lord:  and the prayer of faith shall save [sozo] the sick, and the Lord shall raise him up; and if he have committed sins, they shall be forgiven him. Salvation is a package deal, and it’s all accomplished by the grace of God, not our works. However, Satan is always trying to deceive us. He is the one who wants us to believe we must earn things from God. He is the one causing us to doubt the Lord’s willingness to use His ability on our behalf, and unfortunately, the church is often reinforcing that belief.